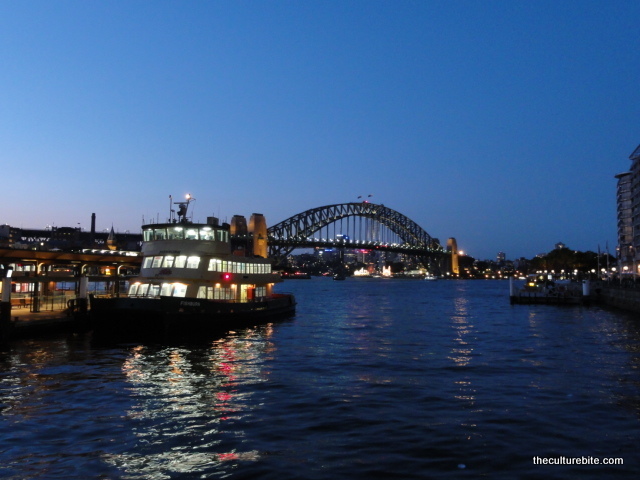 Early Monday morning, K and I headed for Circular Quay to grab a ferry to Taronga Zoo. 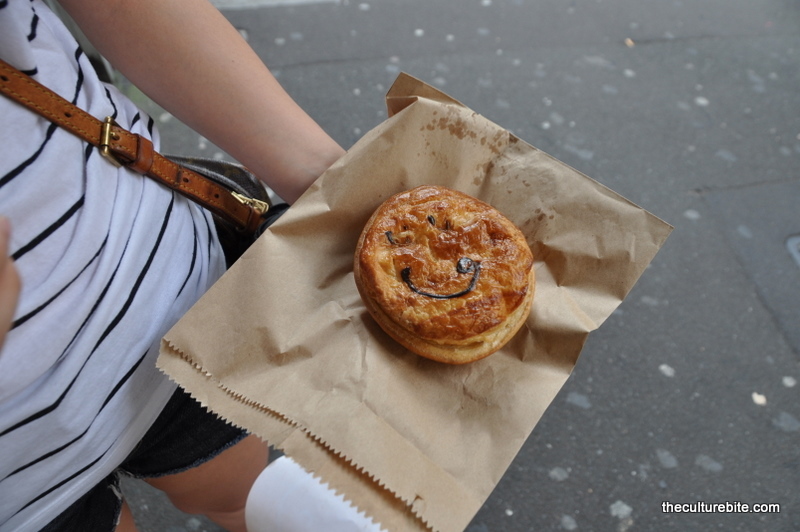 On our way, we each grabbed a personal pie for breakfast at Pie Face, an Australian fast-food chain restaurant that has been taunting me since I arrived. K got a breakfast pie filled with scrambled eggs and sausage and I got one filled with chicken and mushroom. The pies sound better than they taste. Dry and flavorless is what I would describe them. I was disappointed since the pie took up a good portion of my stomach and I still had tons of eating to do. 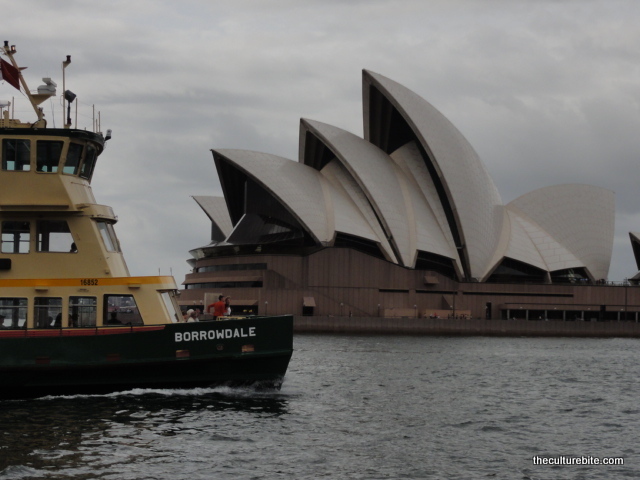 After the short delay, we were back on track to Circular Quay. 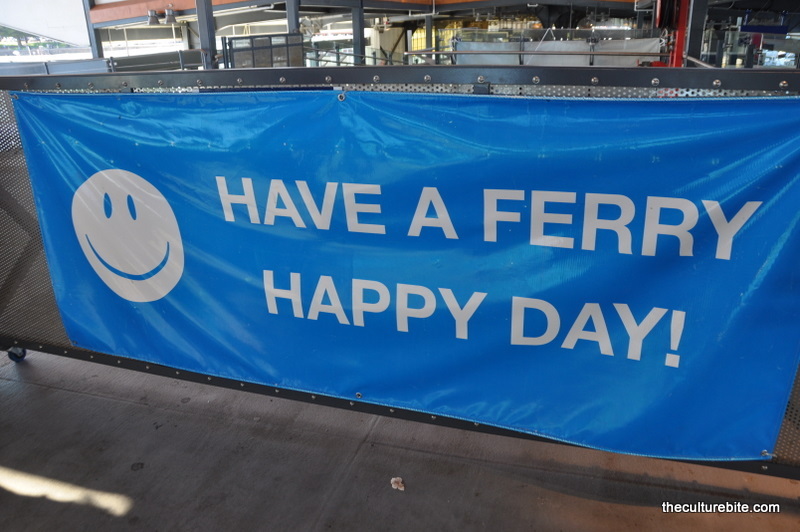 We purchased a ferry/zoo combo pass (Zoo Express) for $50 per person. 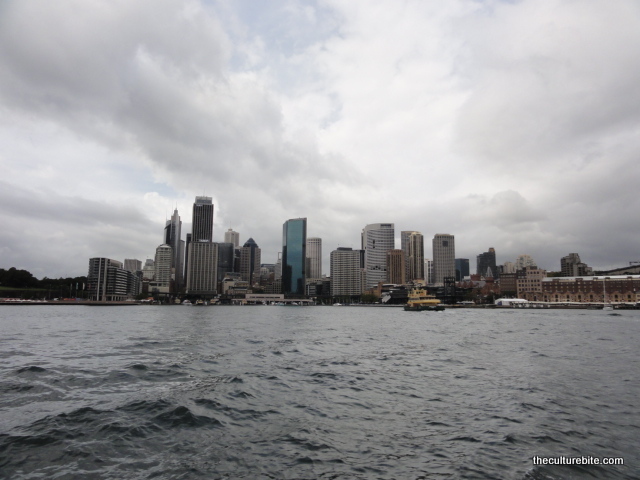 It was a little overcast that day, but the skyline of the Sydney Harbour was still picturesque. We stood out the back of the ferry and took pictures like there was no tomorrow, as did everyone else on the ferry. 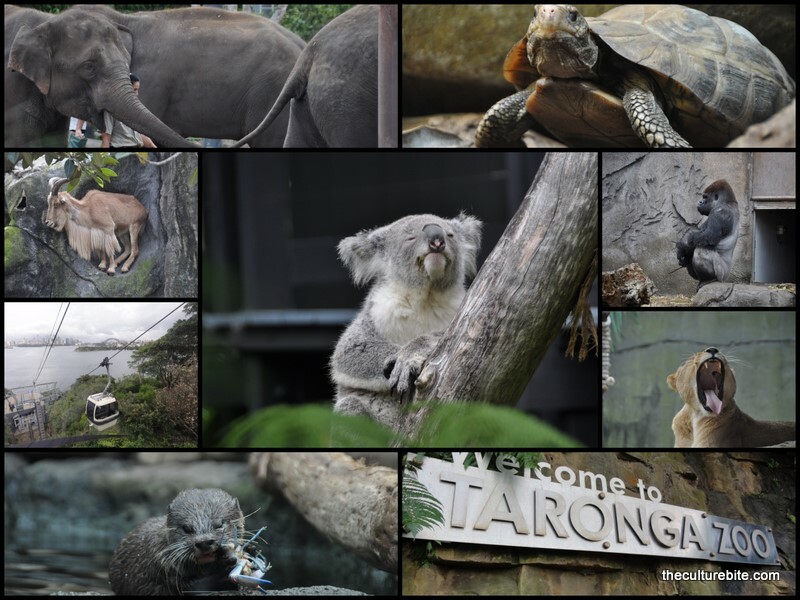 After about 20 minutes, we arrived at Taronga Zoo. This zoo is amazing! The animals were so alive and happy, completely opposite from the zoo in San Francisco. You start by taking a gondola to the top of the zoo and work your way down. 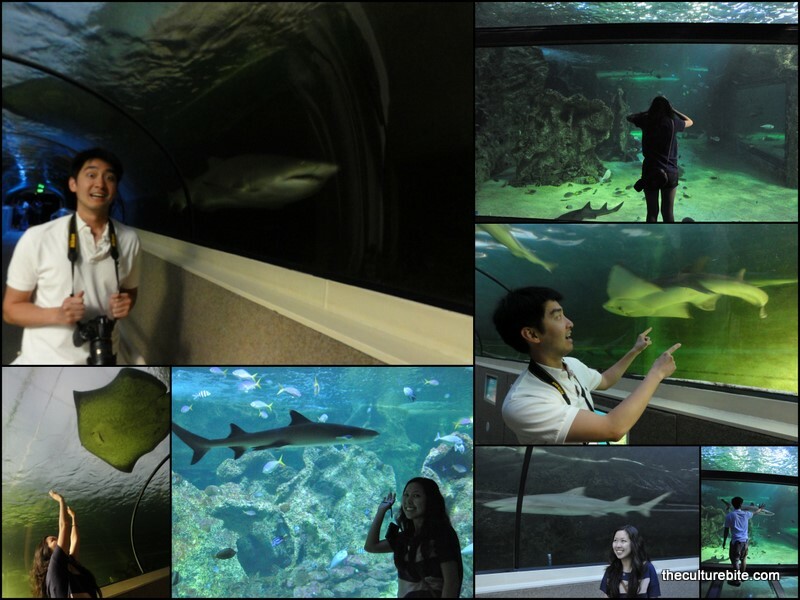 There are about 9 areas of the park each dedicated to a series of animals – seals, giraffes, koalas, etc. The best part of the zoo was the gorillas. They were hilarious! There was a sign outside of the gorilla pin stating, “The gorillas are getting used to a new adult gorilla that has recently joined the group.” And after watching them for several minutes, we immediately figured out which one of the gorillas was the new kid on the block. The poor adult gorilla was being picked on by the 2 younger gorillas! 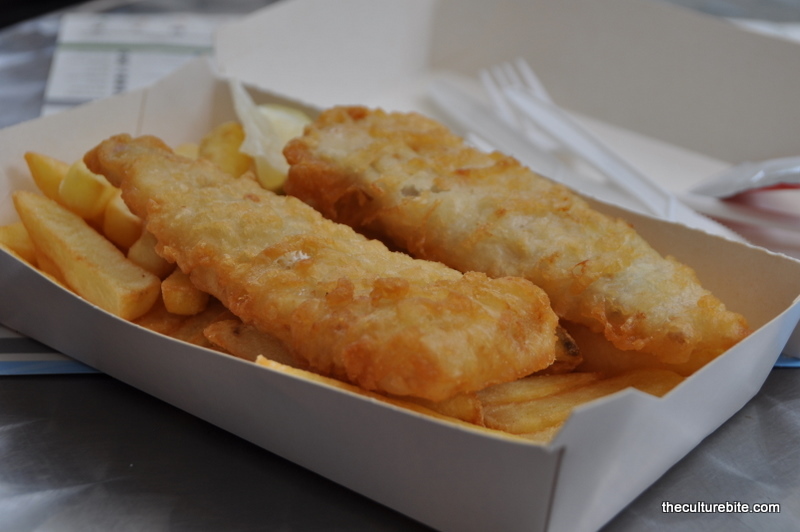 While there, we split an order of fish n chips from one of the stands. It what you would have expected purchasing food from a stand at an amusement park. Frozen, mass produced. 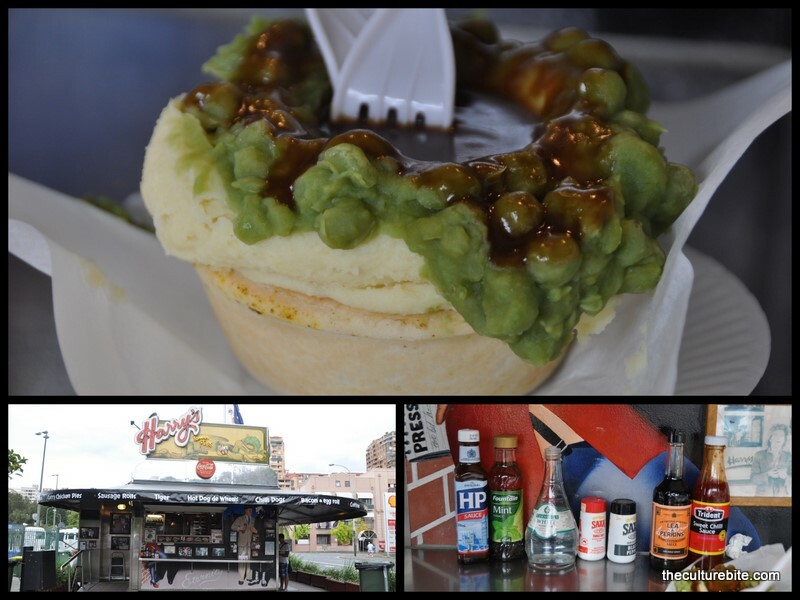 When we got back to Circular Quay, we walked over to the Woolloomooloo district for the Tiger Pie at Harry’s Famous Pies. Now this combination is the strangest combination I’ve ever seen. 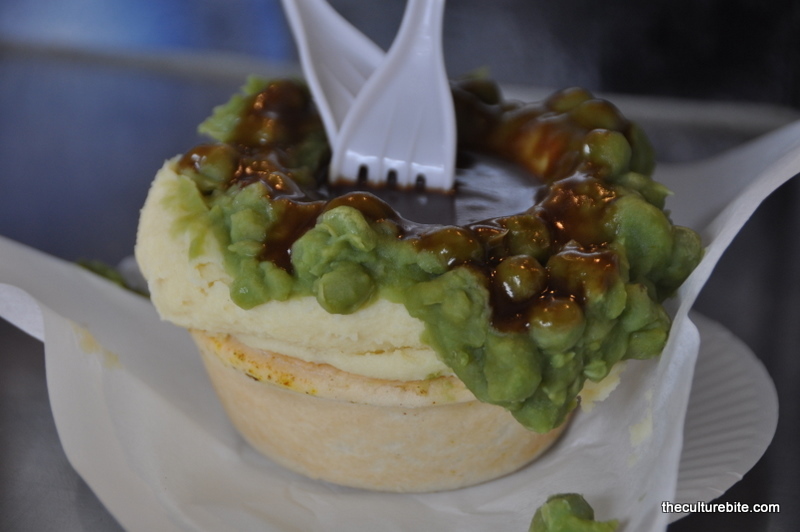 This Australian favorite is a personal beef pie with a scoop of mashed potatoes and a heaping scoop of “mushy” peas. All that topped with gravy. We doused a couple of their sauces on the pie and dug in. It’s an interesting mix. Tasty, meaty, salty, heavy. 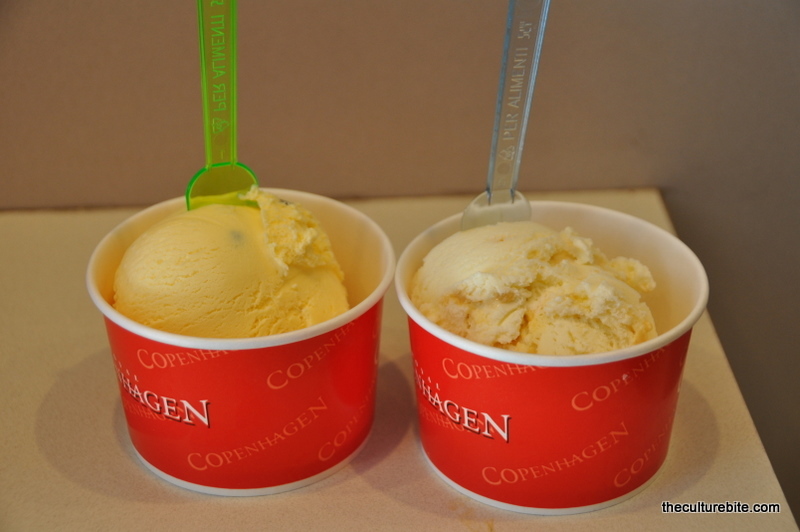 It was pretty good, and I’ll probably grab another if I ever come back to Sydney. At this point, I have no idea why we stopped at the Din Tai Fung Dumpling Bar at the Westfield Center. But, we did and ordered 3 golden lava buns to snack on. After killing some time at the mall and in the hotel room, we headed out for dinner at Mamak, the most recommended restaurant from my Australian coworkers. 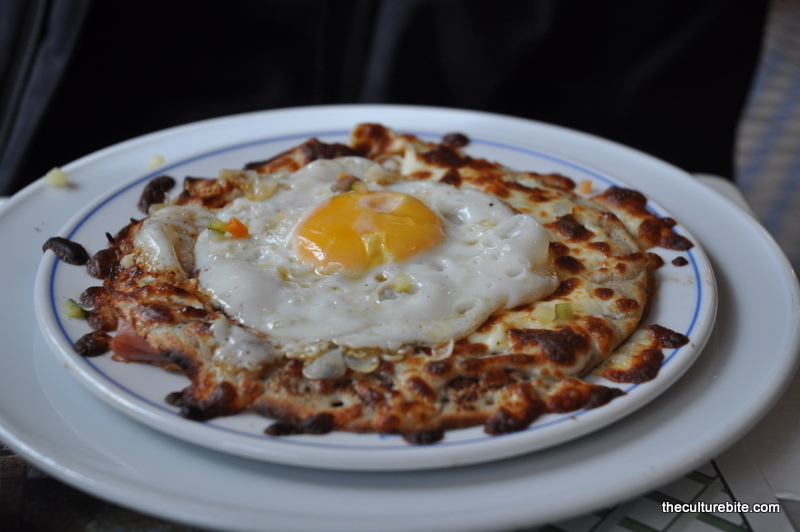 Mamak specializes in Malaysian food. Sydney seems to have a great representation of really good Asian foods because of its proximity to the native countries. With a fully packed restaurant and a line out the door, it was obvious this place had it going on. Luckily, K and I were seated right away. 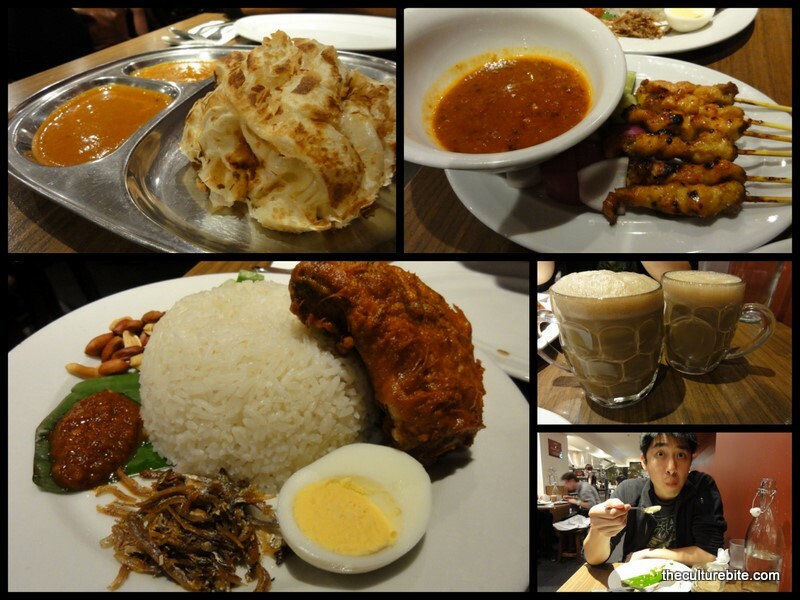 We ordered the Roti Canai, the chicken satay and fried chicken with coconut rice. To drink, we order 2 hot frothy milk teas. The best meal of the day by far. The roti is much different than the one back home at Banana Island. It was soft and chewy with a little bit of crunch on the outside. It came with 3 dipping sauces – mild, spicy and a little dab of shrimp paste. The chicken satay was uh-mazing. 6 skewers of really tender, juicy chicken with a giant bowl of sweet peanut ginger sauce for dipping. There was obviously way too much sauce for the amount of chicken, but we managed to consume it all somehow. Last but not least was the fried chicken and coconut rice. I have never had a piece of fried chicken like this. The coating on the outside was orange and extremely thin and crispy. The inside was flowing with juices. Oh gosh, I hope I can find this meal back home somewhere. At the end of the day, I did not want to look, smell or talk about food for the rest of the night. Tomorrow, was a new day. 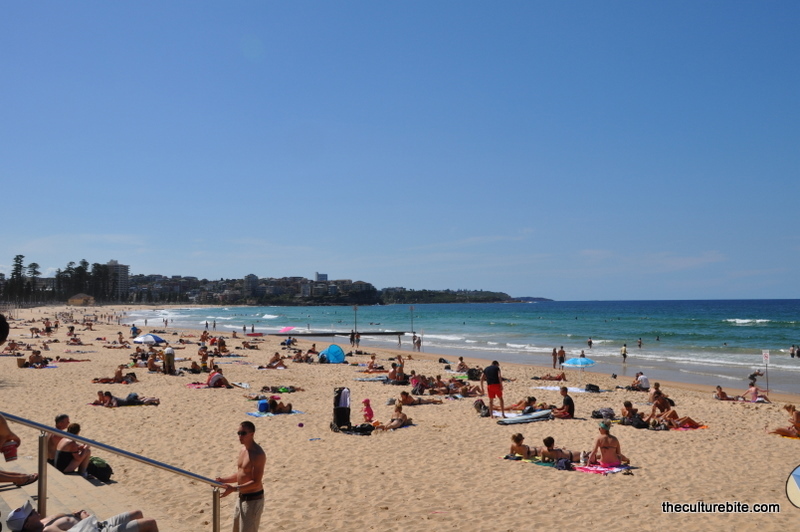 I’m writing this post Monday morning in Sydney, Australia. K and I are still very jet-lagged having been on a flight for 15 hours and changing our clock 18 hours ahead. 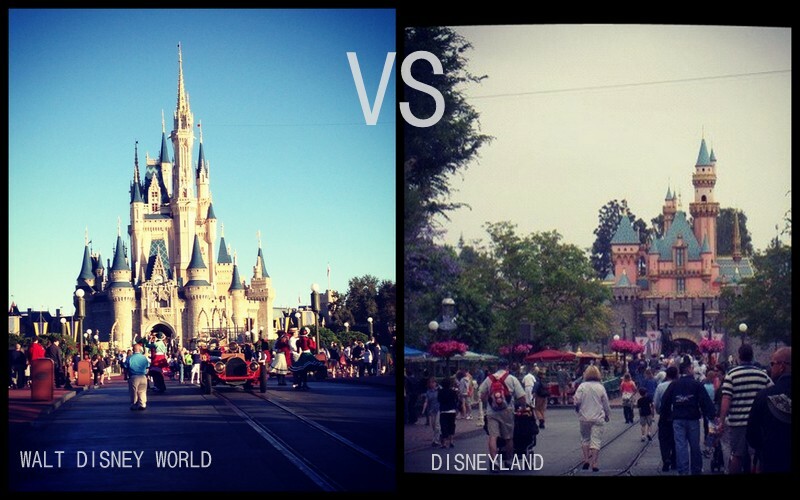 But like we do on any trip, we fight our droopy eyes to see the world. We’ve kept it pretty low key so far. No scheduled itineraries prepared for this trip. 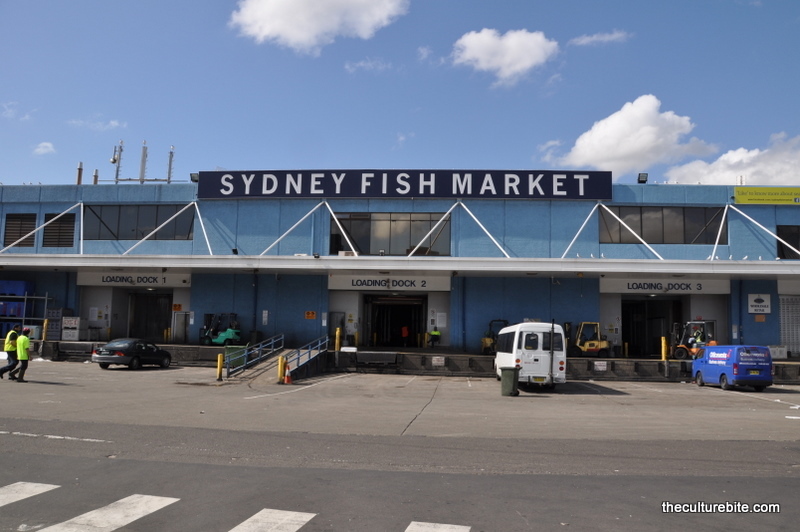 We’ve decided to keep Sydney an eating tour. 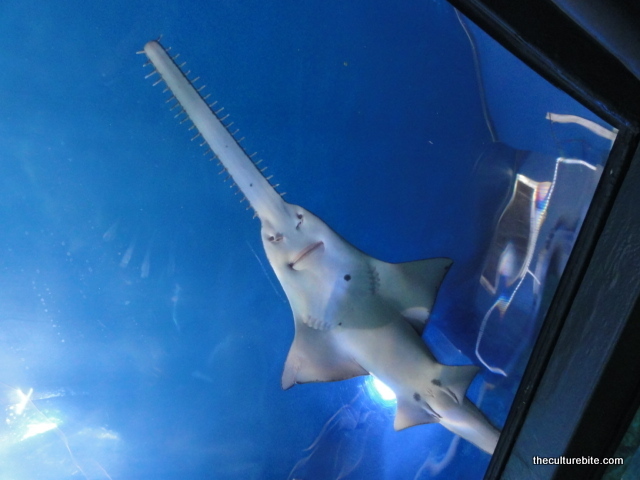 Of course, we’re going to see the Sydney Opera House, the zoo, aquarium, and possibly some beaches. 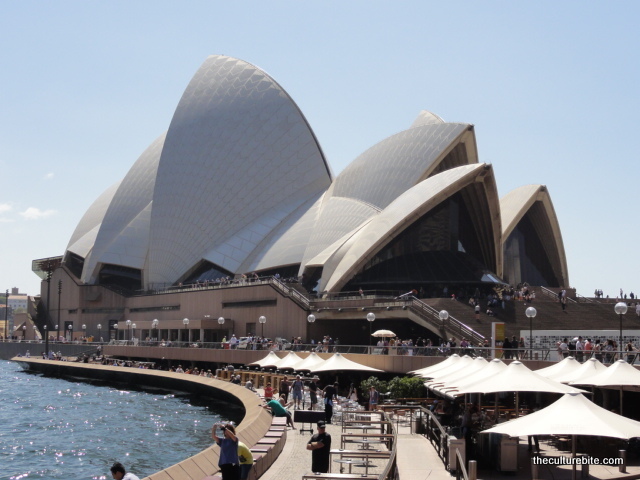 But, from what we can tell from Sydney already, it is a very diverse city. And with diversity comes food. K and I are staying in Darling Harbour. 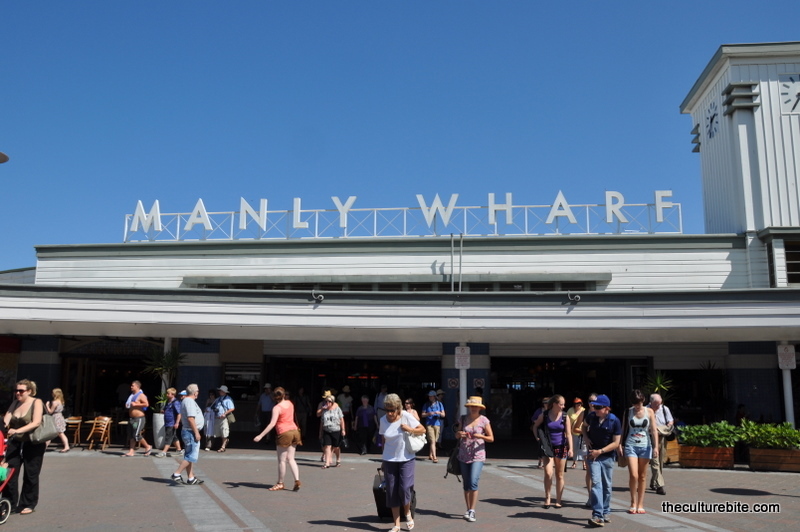 This area seems to be a recent development to Sydney. 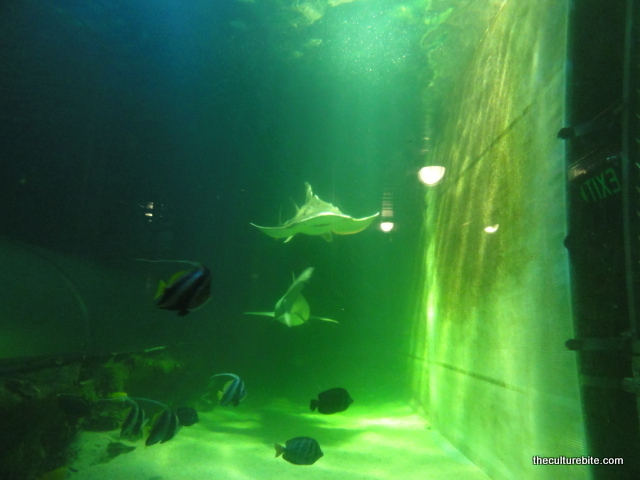 It has an aquarium, a convention center and a bunch of other tall buildings. 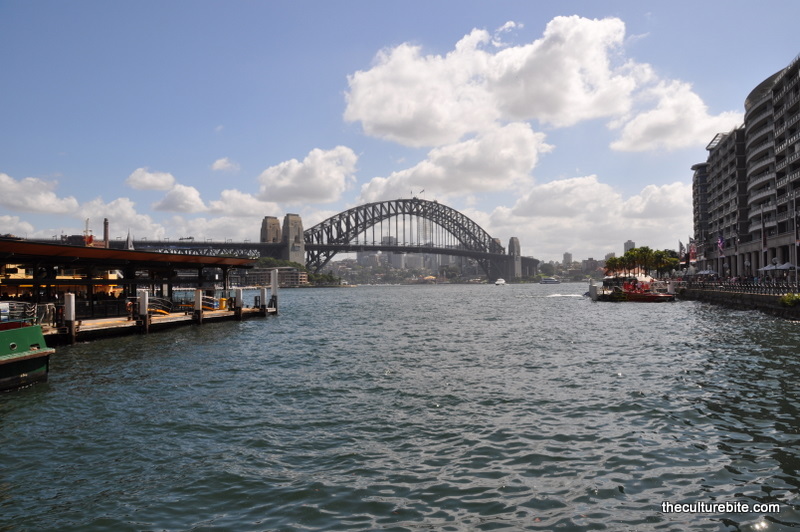 We dropped off our bags and walked about a mile and a half to the Sydney Harbour to check out the view. 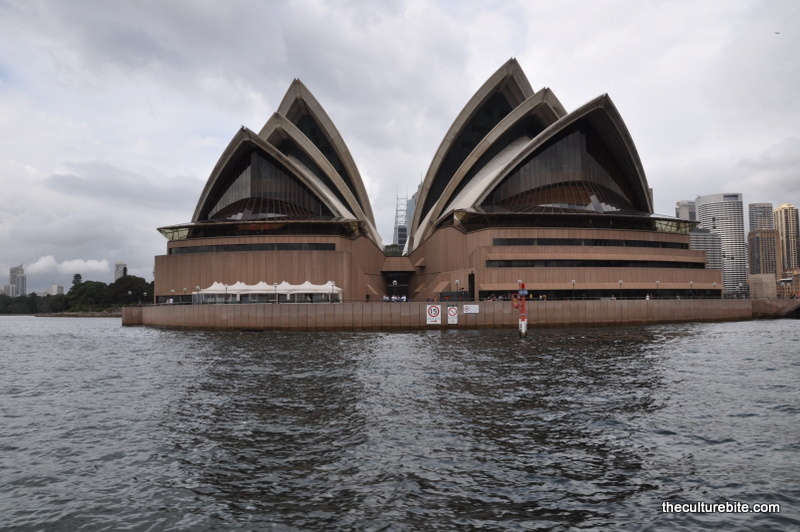 We then headed over to the Sydney Opera House for their hour-long tour. It’s about $50 per person, but we found 20% off discounts in one of the tourist books from the hotel. The tour is highly recommended. 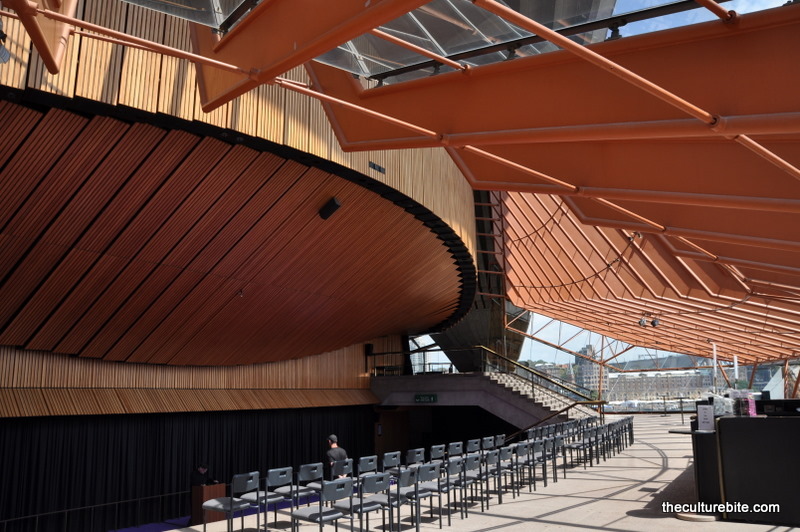 You’ll learn about their Danish designer Jørn Utzon and the controversy behind the construction of the building. From there, we we took a quick stroll through the Botanical Gardens. By this time, our hotel room was ready, so we headed back to our room to clean up a bit. 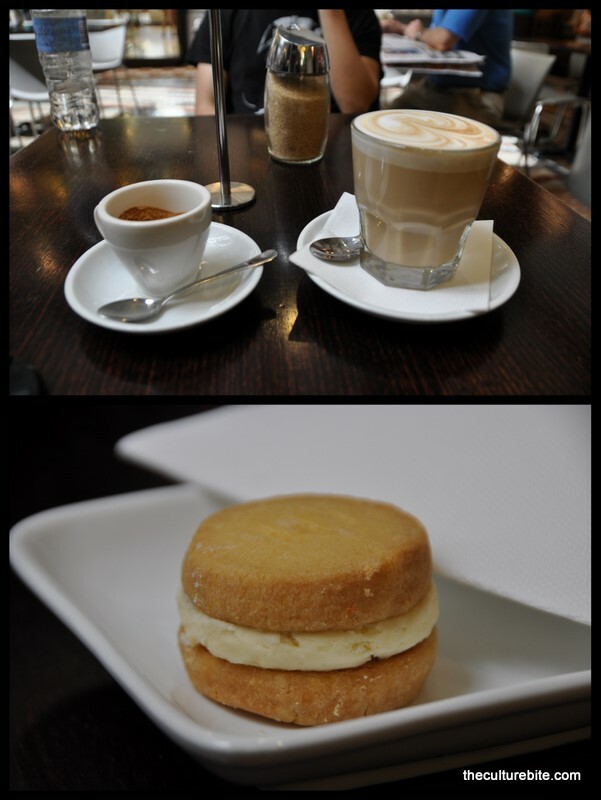 We stopped at the Queen Victoria Building, one of the many shopping centers, for a latte and a cookie called a Melting Moment. Man this cookie was amazing. It was 2 English shortbread biscuits sandwiched together with a light lemon cream. To this minute, I’m still thinking about when I can go back for another. 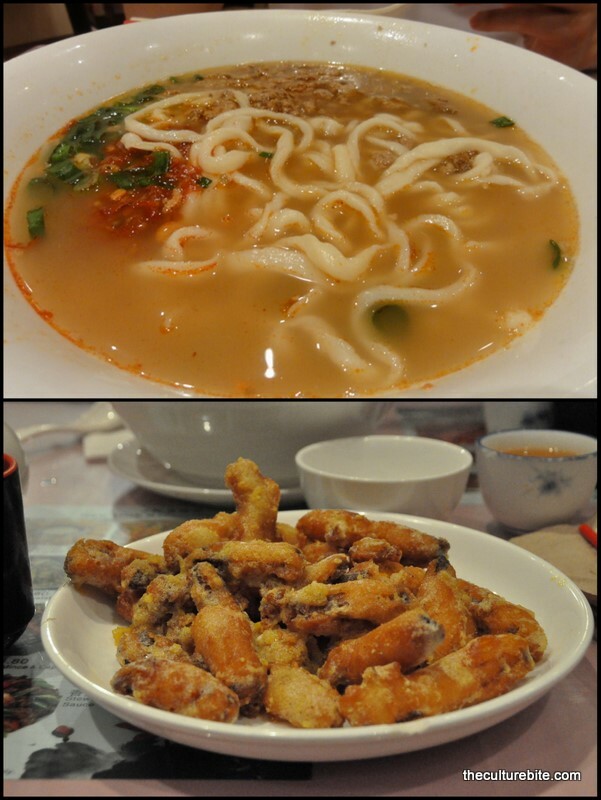 Before we even left for Sydney, we knew we had to eat at Din Tai Fung for dinner on our first day. 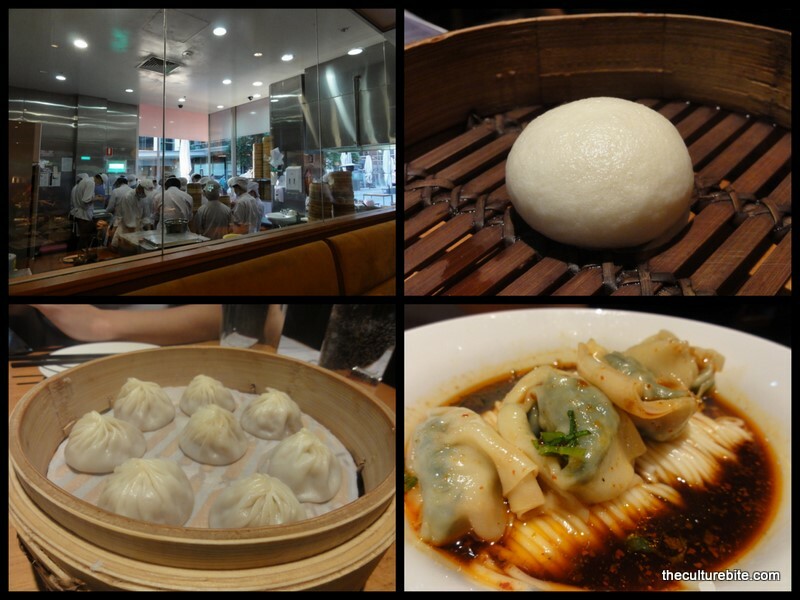 Din Tai Fung is a world famous Shanghainese restaurant serving the best soup dumplings you’ll ever taste. In addition to that, we ordered the spicy, tangy wontons over noodles, pork and vegetable dumplings, spinach with garlic and a golden lava bun for dessert. The dessert was a surprise. I’ve had the sweet egg custard buns back at home in SF, but this one was entirely different. The center was a glorious golden salty egg ooze. It tastes better than what I just described. Trust me. 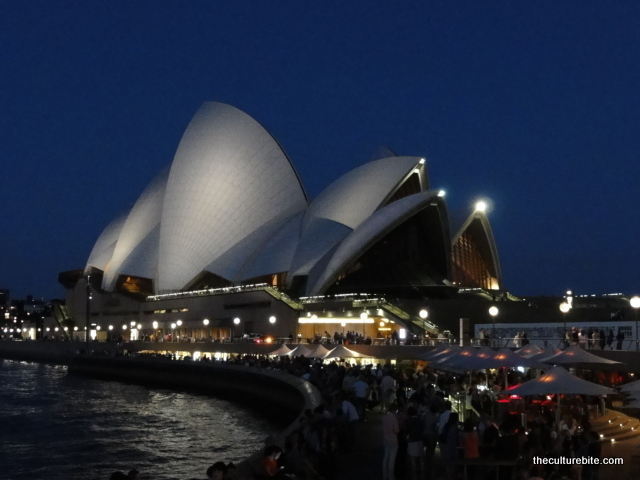 It was about 6pm after we finished dinner, so we walked back to the Harbour to take some night time shots. Enjoy! 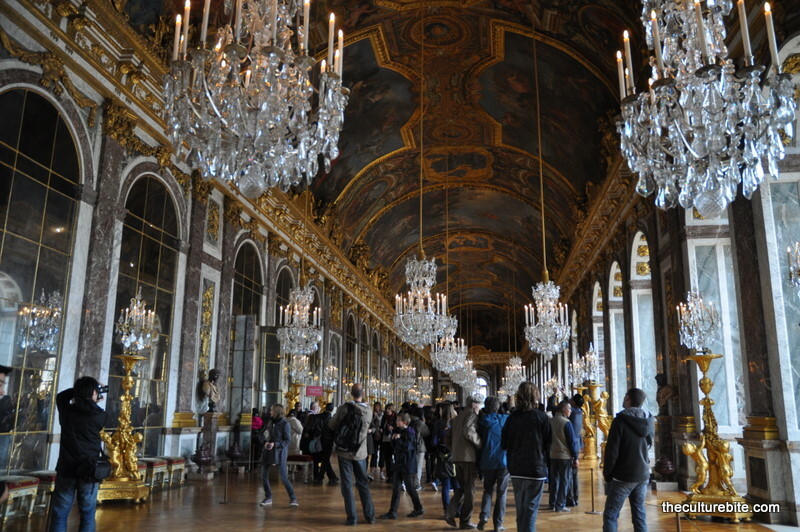 Just like WWI and Marie Antoinette’s reign of France, our two-week European vacation ended with a trip to Versailles. We did have one more day, but all we did was shop. So, the last post will only be of our last meals in Paris. When we got there, the weather was nasty. Cold, rainy and cloudy. 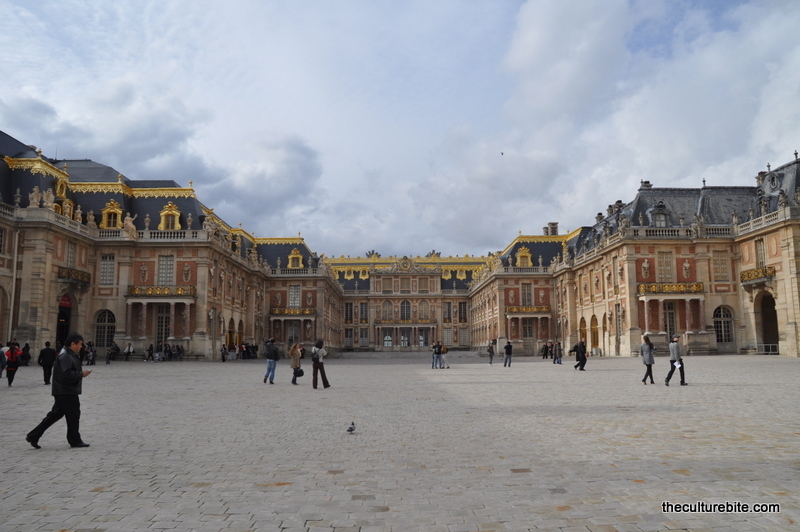 The grand palace of Versailles was actually closed when we first got there due to poor weather. So, we decided to roam the famous gardens first. The place is huge! 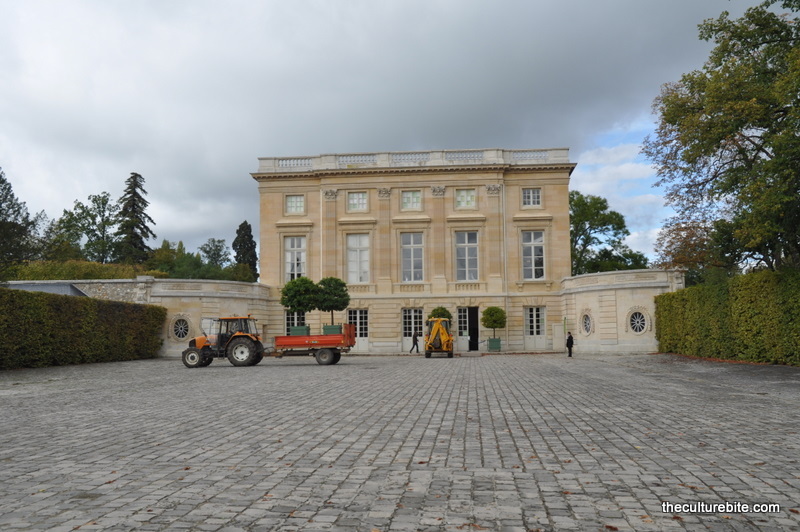 Rick Steve’s rule of thumb is 1.5 hours in the museum, 1.5 hours in the gardens and 1.5 hours at the chateaus. The gardens were beautiful, although I seemed to enjoy the Tivoli gardens near Rome more. I’ll blame it on the rainy weather. 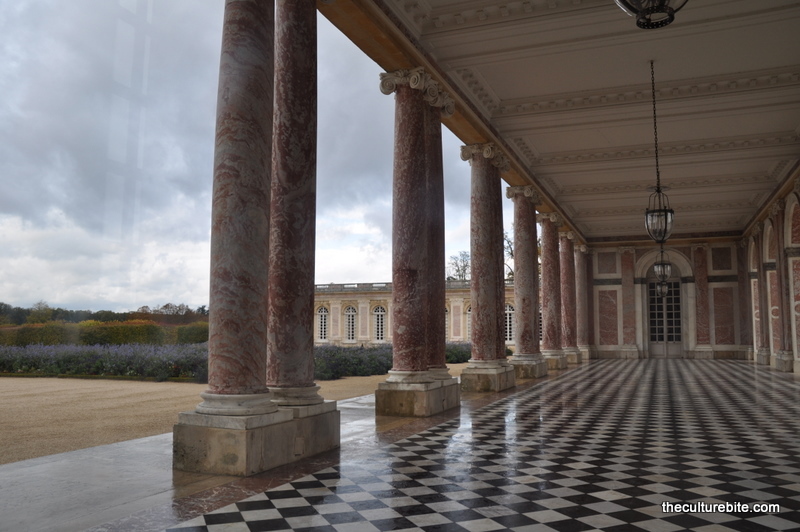 Also, Versailles’ garden is famous for it’s fountains, but unfortunately, they’re only open in the spring and summer so we didn’t get to see the garden at it’s full caliber. Here’s a funny story I’ve heard. 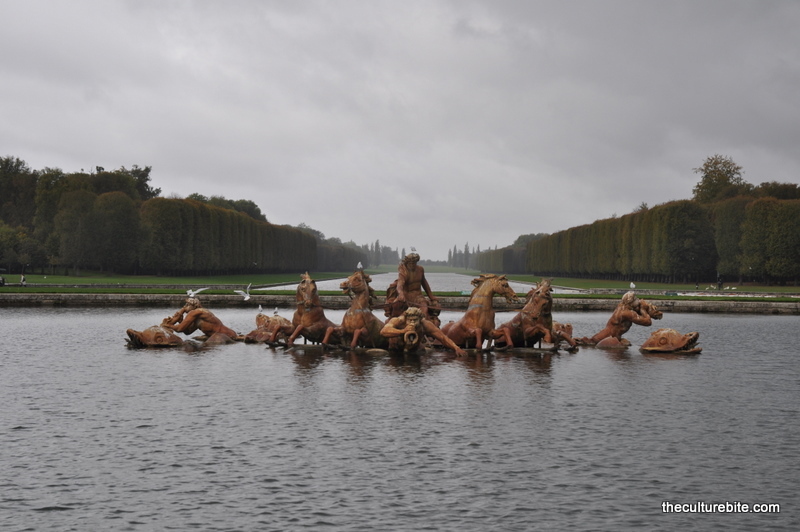 Louis XIV built Versailles way before there was actual plumbing, so in order for the fountains to work, his servants would run from fountain to fountain to manually pump the water as the King roamed the garden. K and I stopped for a quick lunch at one of the many restaurants in the garden. We each ordered a savory crepe which we were both dissatisfied with. The crepes must’ve been pre-made and frozen. The cheese was cold and hard, the crepe was almost as thick as a pancake and it was topped with perfectly cubed frozen veggies. Blegh! We walked to the far end of the garden to see the Grand Trainon, a large pink chateau where Louis XIV used to spend time with his mistresses. 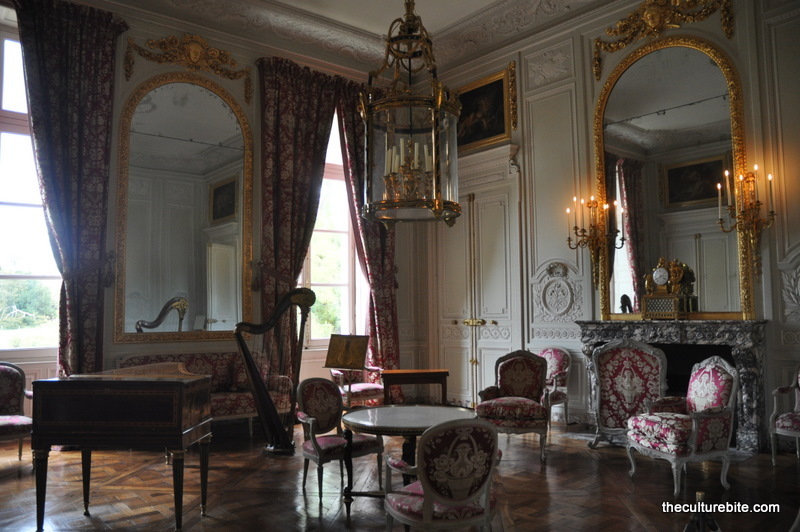 Nearby sits Petit Trainon, a chateau given to Marie Antoinette by Louis XIV. Last but not least, we visited the grand palace. The rooms were filled with gold trim, velvet curtains, and crystal chandeliers. If there’s anything I’ve learned being here, it is that Louis XIV is not one to skimp. There was an exhibit for a Japanese artist, Takashi Murakami, on display at the palace and I found it really weird to see the modern cartoon sculptures sitting in each of these old rooms. Although it was very cute, I thought the exhibit took away Versailles’ limelight since most of the visitors were paying more attention to the sculptures rather than the rooms themselves. We rushed back to Paris to see the Orsay before it closed. The Orsay was included in our Paris pass, so I figured, “Why not take advantage of the free admission?” We had about 30 minutes in this museum – only about 3 hours too short. 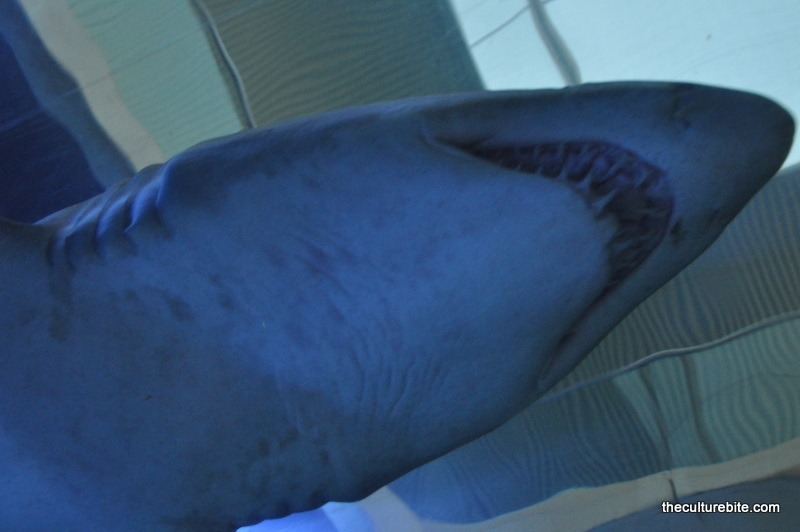 It was very different than the other museums we’ve been to on this trip. 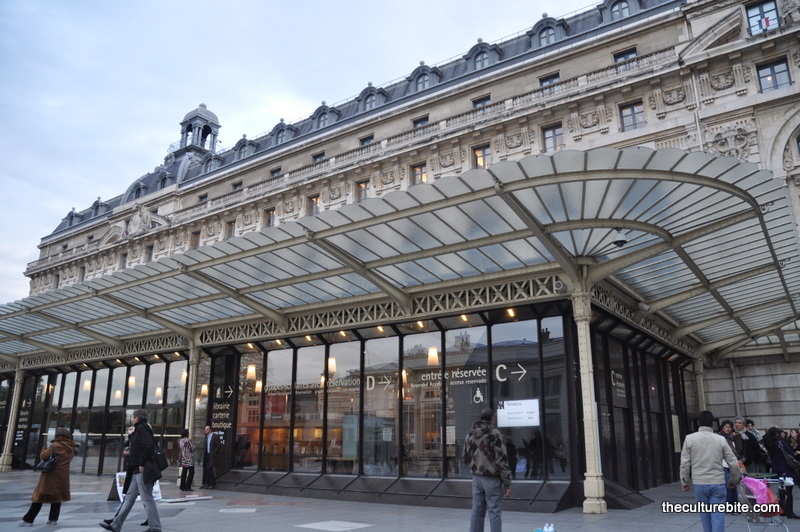 The Orsay houses one of the world’s largest collection of impressionist and post-impressionist art which includes works by Van Gough, Monet, Manet and Gauguin. Unfortunately, a lot of the museum was on loan at SF’s de Young Museum. So when we were in Paris, the famous pieces were right in my home town. Bummer! On our walk back to the hotel, K and I stopped at Angelina which serves the “best hot chocolate in Paris.” Although it was very good, I think the hot chocolate at Cacao Sampaka in Barcelona is the winner. Angelina’s hot chocolate was sweeter. I preferred Cacao Sampaka’s because it seemed to be made with a darker chocolate and I could really taste the complexity of flavors in the drink. If you’re not heading to Barcelona though, Angelina is a great alternative for a hot, thick, chocolaty drink. I can’t find my hot chocolate photos, but I’ll get them up soon. Throughout this entire trip, I wanted so badly to go on a double-decker tour bus. We finally got around to it this day and paid a hefty amount for a night time tour around Paris. The sights are beautiful lit up, but for some reason, I couldn’t keep my eyes open! I was so exhausted, I kept nodding off. 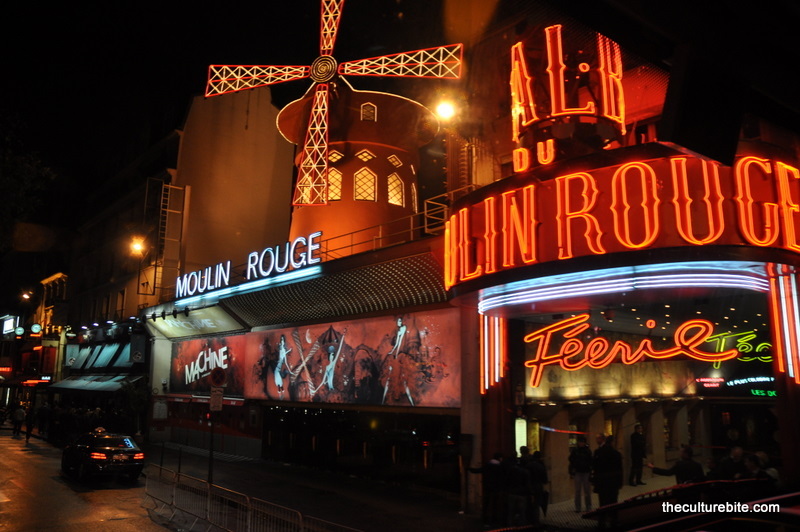 It wasn’t until I saw the Moulin Rouge that I stayed awake. That site was a must see on my list. From here, we called it a night.